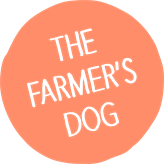 The Farmer's Dog is a subscription-based pet health brand with a mission to disrupt the $60 Billion pet food industry. Our products are human-quality, personalized, and devoid of any marketing fluff (about the only kind of fluff we don't love). Our investors have also backed companies like Birchbox, Harry's, Casper, Warby Parker, Instagram, and Sweetgreen. We bring peace of mind to our customers, health to their companions, and fundamentally change the way people think about feeding their pets.